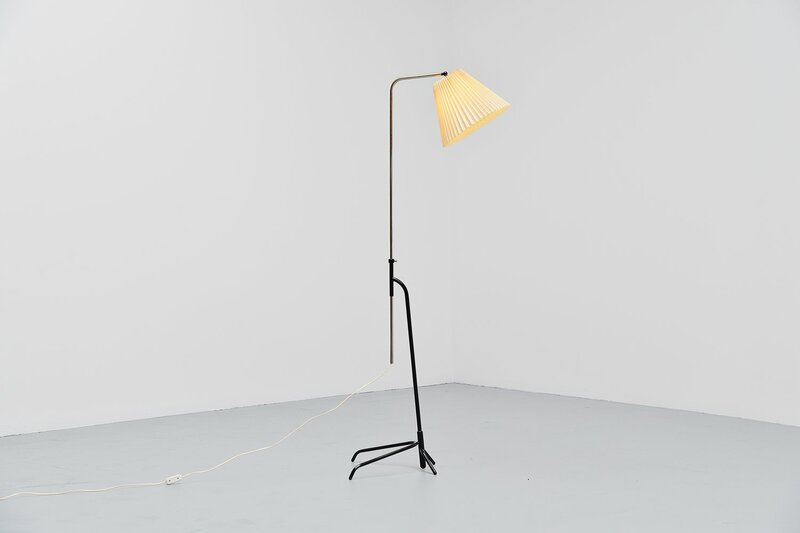 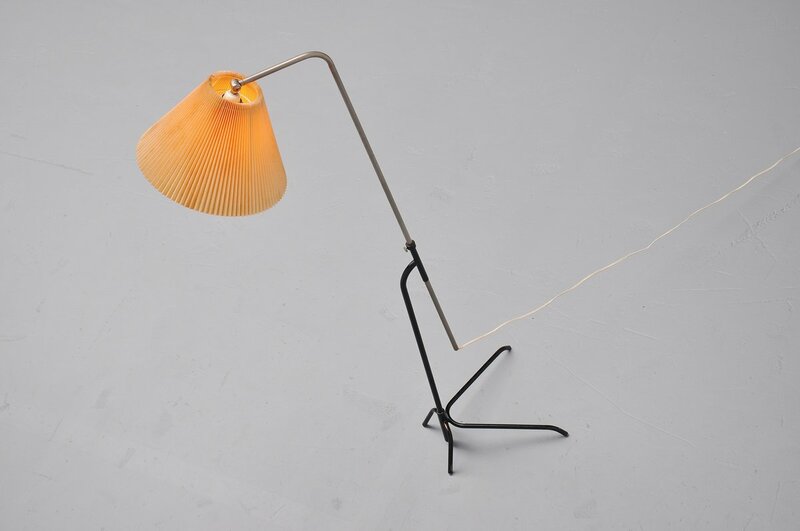 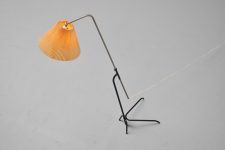 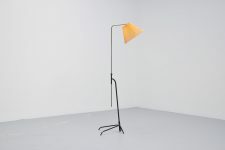 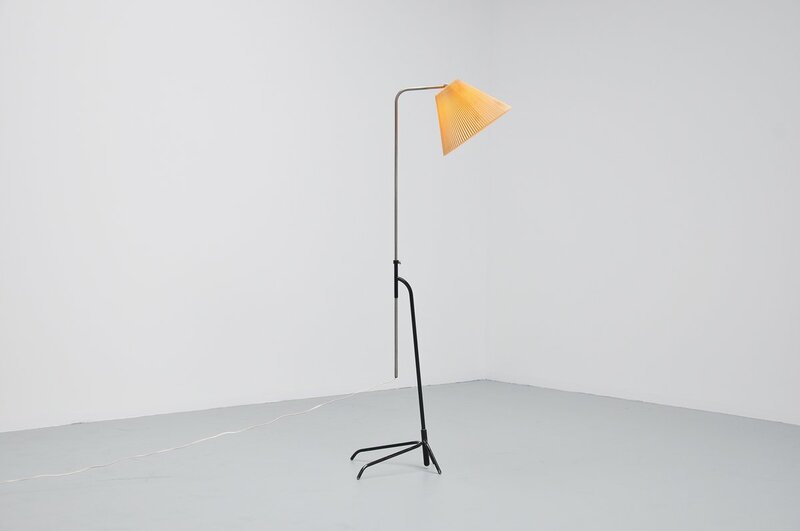 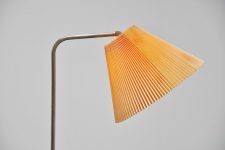 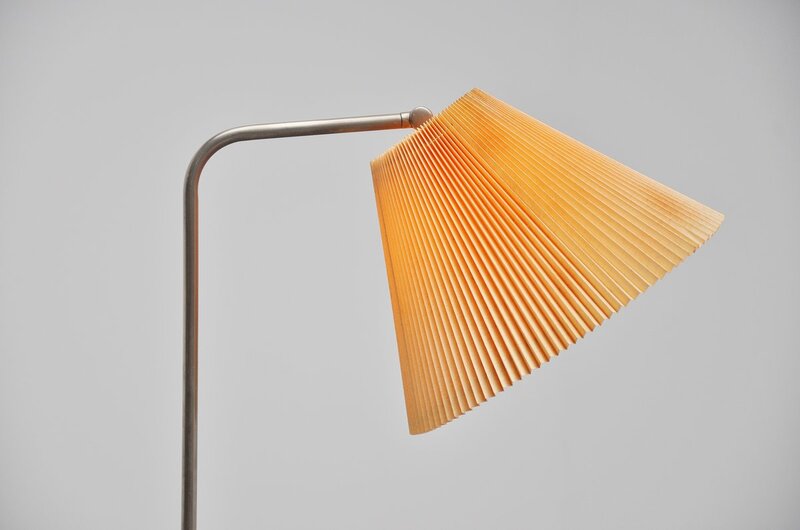 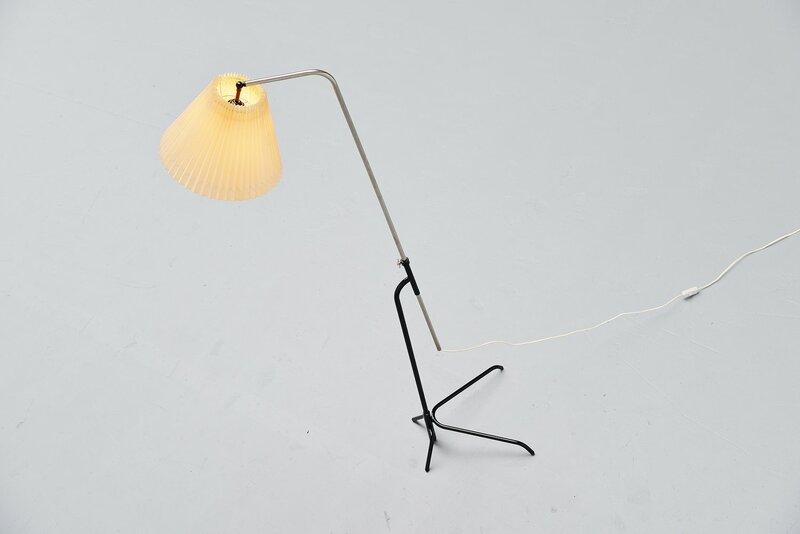 Very nice adjustable floor lamp designed by Le Klint, Denmark 1952. 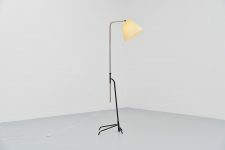 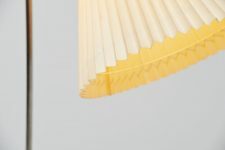 It took a while to figure out who or what designed this lamp but we finally know, documentation available. 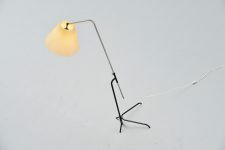 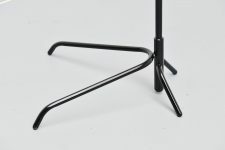 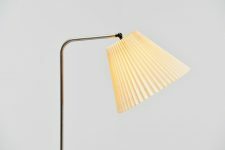 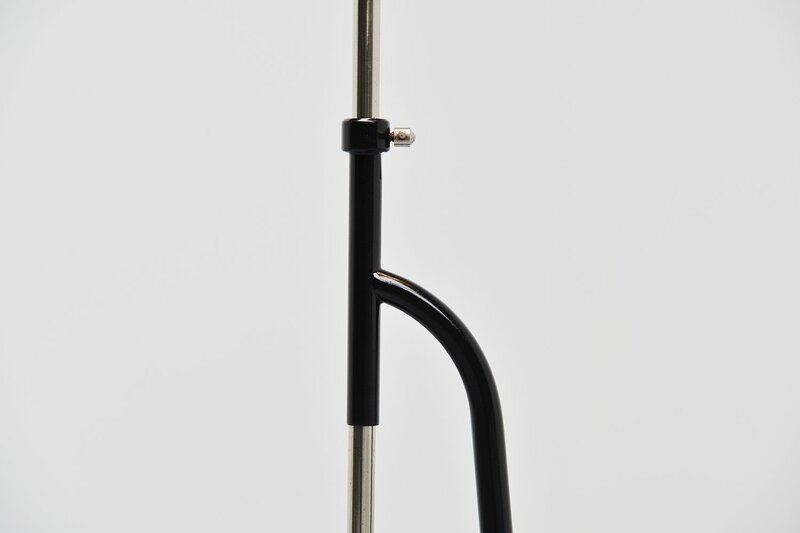 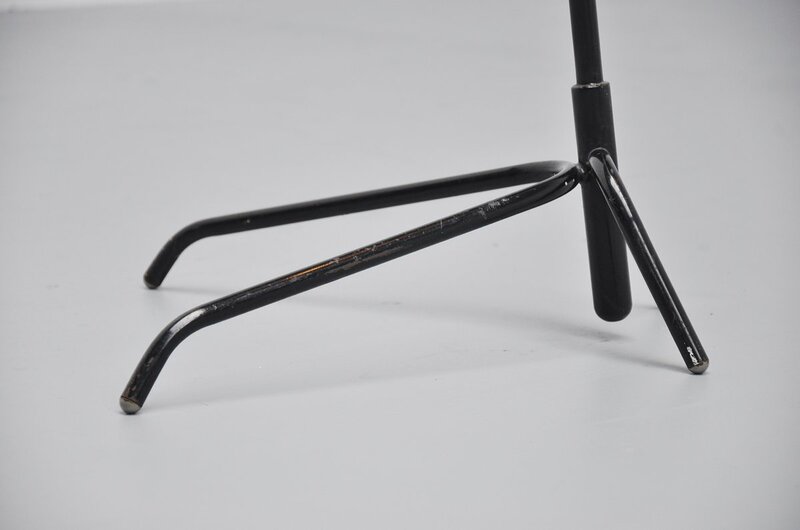 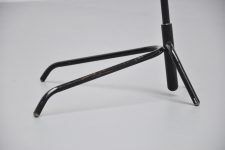 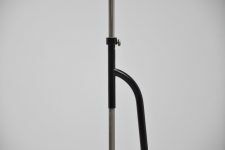 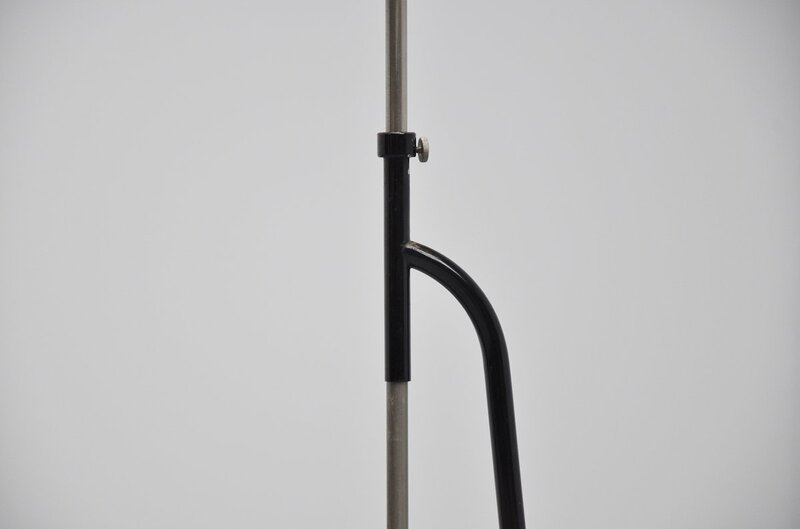 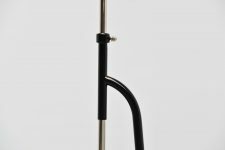 Adjustable floor lamp with black lacquered metal base, very nicely shaped and a very nice typical Le Klint shade. 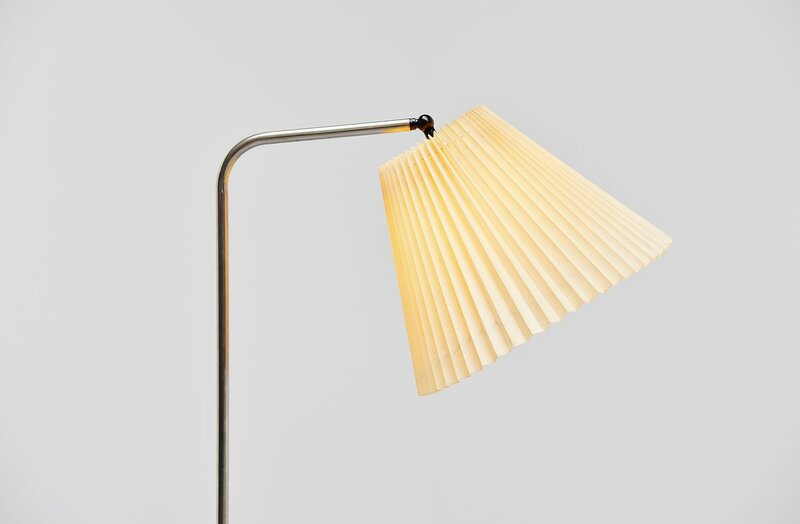 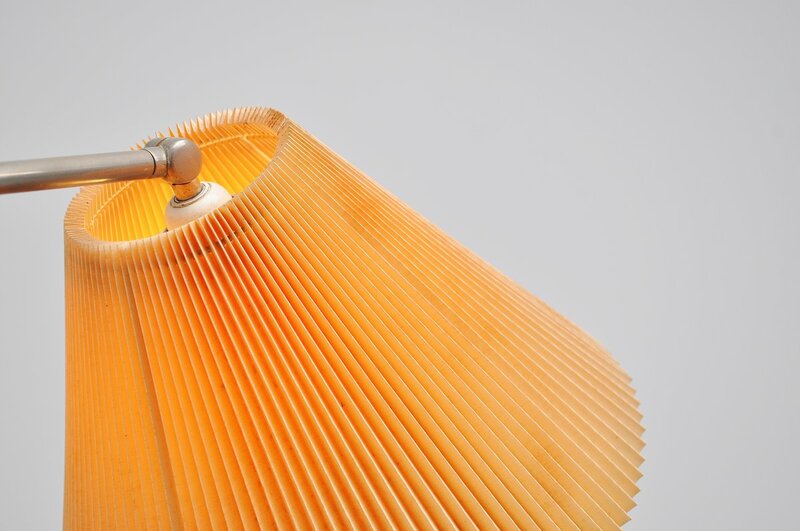 Gives very nice and warm light when lit, perfect reading lamp.